this was a great van my father had two, I worked in the spray booths at luton and worked on the last c.a. van and the first c.f. which was in light blue i can not remember the colour of the last c.a. 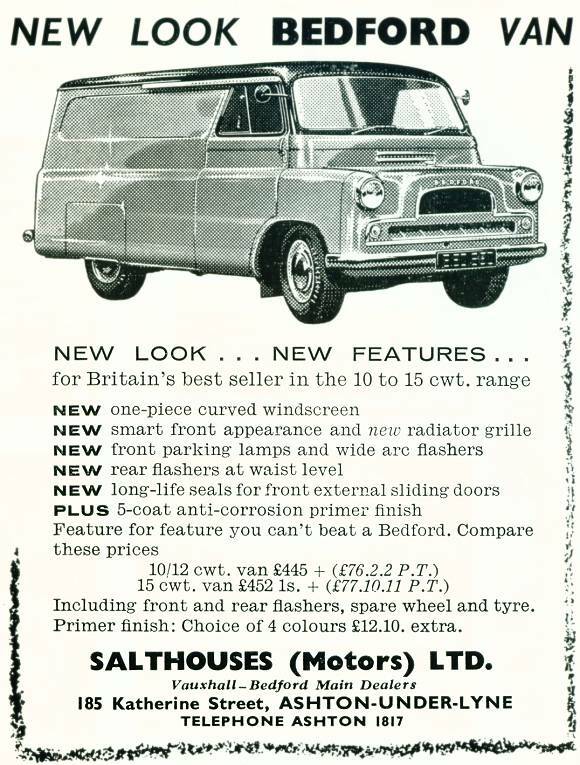 Great to see the adverts for Salthouses (motors) Ltd. Salthouses was owned by my grandad and his brother and I had never seen these adverts before.